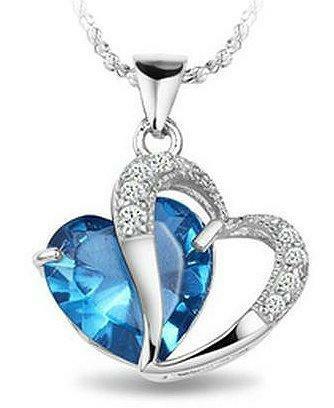 BEST SELLER - White Gold Rhodium Plated Pendant Blue Sapphire Heart Necklace 18"
Priced $245.99. Categorized under Jewelry & Watches >> Fashion Jewelry >> Necklaces & Pendants. Condition: New with tags, Karat Content: 10k, Gemstone Treatment: Natural, Gemstone Type: Sapphire, Gemstone Size: IN Inches, Gemstone Shape: Heart, Gemstone Color: Blue, Metal: White Gold, Gender: Female, Size: 18 inches, Style: Pendant, Main Stone: Sapphire, Color: Blue, Material: Stone, Country/Region of Manufacture: United States, Brand: Zapprix, Theme: Love & Hearts, Metal Purity: Rhodium Plated.